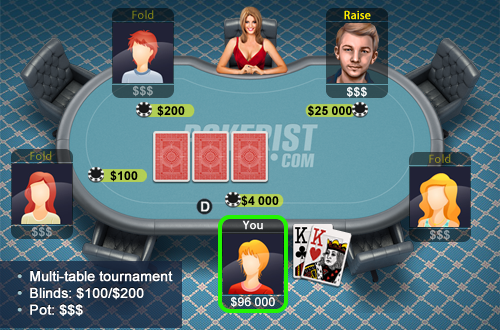 You’re playing the first hand of a multi-table tournament. Your stacks are 100,000 and blinds 100/200. UTG raises to 1,000 and you re-raise 4,000 him from the button with K♣K♥. Opponent then proceeds to re-raise to 25,000.